Dance, exercises and clear explanation of the basics of Dance on example of perfect technique, rhythm, and musicality of Argentine Tango dance. What we do is learning how to improvise the dance. 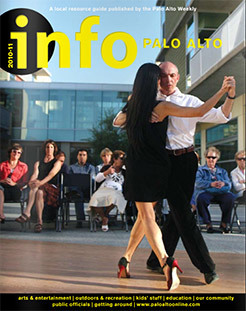 This is a heart of all tango styles: Orillero(Nuevo), Salon, Apilado, Milonguero, Canyengue as well as other dances. Why tango? 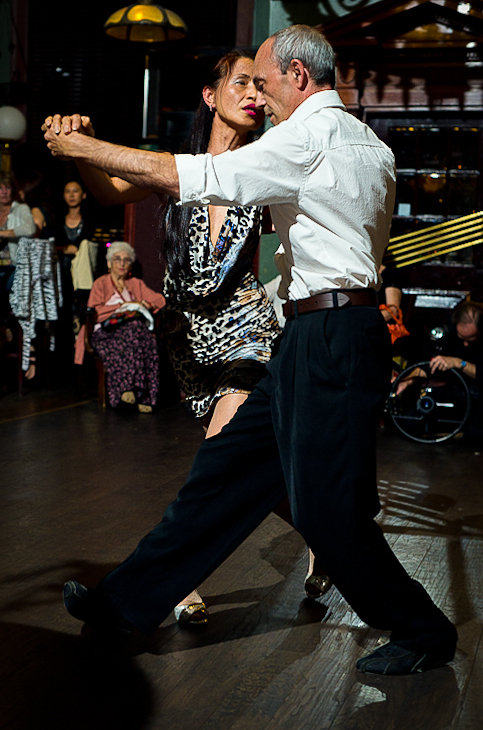 Argentine Tango is an improvisational dance. Like no other dance it establishes the cornerstones of any dance improvisation: body awareness, reach rhythms, musicality, use of space and interconnection among dancers. It is more focused on these particular qualities of than Contact Improvisation. Argentine Tango is very reach in movements approaching the vocabulary of professional theatrical dance. At the same time it does not require special physical abilities which makes this dance a perfect hideaway for an artistic soul. 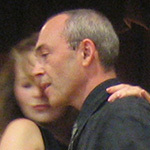 Both Igor and Cecilia are among the most popular social tango dancers. We do know what is important for your success. 8:30 - 9:30 Class "Circular Tango"
How many other tango technique books do you know? "What style of tango do you teach?" - I teach the essence of tango of all styles. I do point out if something belongs to a certain style: Salon, Orillero, Canyengue, Apilado, Milonguero, Nuevo. I especially welcomes dancers who want to learn tango in all its complexity and beauty, not bound to any restrictions. I am the only one dancer in San Francisco Bay Area who knows all these styles. "Should I start learning tango in open or in close embrace?" "Why you do not publish the topics of your lessons?" - I do think over the topics of classes, only I do it in the day of the class based on my most recent observation and dance experience with students. I do address their immediate needs to progress them as soon and as effectively as possible to the heights of tango. I can variate or even change the topic depending of the students who come. The topic addresses the average regular students and challenges them, but I do take consideration of more advanced dancers as well as the less advanced. "Igor has the wonderful ability to tailor the class on the needs of those present. This flexibility allows for a better learning and challenging place for the students"
I teach serious tango with great attention to details involving correct tango rhythm, body energies and movements, in all its complexity. Why tango is like it is? Did someone invented it? No. They have discovered it. It is a natural way of movement of a well developed body. Discover it in yourself. Igor. More tango articles.. Our club is named after Zina Vladimirsky, one of the founders. - There are many ways to dance tango: fast and slow, small and large. And there are many styles. 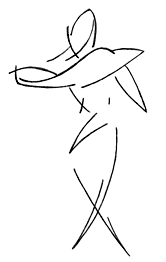 Tango comprises of three dances: Tango, Milonga, and Vals: the same figures danced to different rhythms. One can dance argentine tango to any other music except, surprisingly, ballroom tango. - Tango is danced mostly to music of 1920-1940s. It is a complex beautiful rhythmic music of classical quality. - Tango is danced everywhere in the world. - The most important is to feel the partner while leading and following. This skill is brought to the utmost height. Tango dancers are valued by their ability to lead and follow. Because of that competitions in tango are rare and do not have much sense. Every millimeter of any movement can be lead. - Tango dancers must dance to the music. Feeling of music is so strong, that dancers easily make improvisations to an unknown piece. - It is a traveling dance: dancers dance walking around the floor. Amount of the dance spece available reminds Salsa, even tighter. The navigation skills of a leader and ability to twist the body for a follower are quintessential. - "You classes should be taken by every dance teacher!" - "You teach a fantastic technique! It does feel like flying when I am completely in sync with your movements." - "No one is dancing like you!" - "You make me feel ..."
- "Your teaching is very systematic"
- "I learn so much at the class"
Create a friendly environment where people can have good time relaxing, listening to music, meeting friends, getting some easy physical and emotional exercise, try on beautiful dress, relieve stress and enjoy everything else Argentinean Tango gives. For those who are getting more into dance - establishing the strong basis of tango dancing and promote the way this 100-years old dance is danced. We teach only advanced tango from the very first lesson. Аргентинское танго это прекрасный способ подружиться, отдохнуть, немножко потренироваться, насладиться музыкой и приятными движениями, улучшить свою жизнь, социальные, физические, эмоциональные и духовные способности. Танго подходит для любого возраста. San Jose, Mountain View, Sunnyvale, San Mateo, Cupertino, Milpitas, Fremont areas are covered. -I teach the technique of tango that will get you to feel movement and not steps. -We will explore how to dance from the inside out. -We will explore what it means to dance....the movement before a movement is where dance begins and lives after the movement. -My classes are designed to give my students the understanding that tango technique comes from the body posture to generate movement. -There is more to dancing than steps. Take a San Jose Photo Walk | San Francisco Pictures and Virtual Tour | Never been to Alcatraz? | Walk across Golden Gate Bridge | Las Vegas right now !